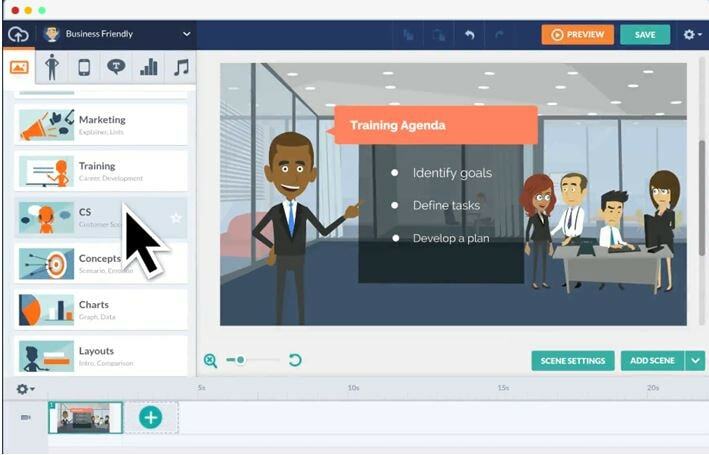 The best editor helps you easily make explainer video with powerful features. Having plenty of animation makers in the market, you must be in a dilemma to decide the best one for you. We believe that there is one animation creator for everyone to suit their specific needs, irrespective of your level of proficiency in animation. Only you can figure out which one is the best animation creator for you. When you choose the right software tool for your animation work, the results will always come outstanding. We have featured a meticulously picked list of animation maker software applications to ease off your burden. Go ahead and explore your creative streak with the best animation creator. Here we recommend using FilmoraPro. You can use it to make explainer animation video adding keyframes, so the animation will be smooth and natural. You just need to build a white plane to easily start making animation. Besides, color correction and audio mixer will raise up your explainer video to a new level. It is designed for intermediate editors. Download it to have a try (Free)! Maya is one among the leading 3D animation, simulation, modeling and rendering software application empowered with exceptional toolset. You can use it to make animation, motion graphics, environments, character creation, as well as virtual reality to name a few. Arnold RenderView integrated with Maya enables you to experience real-time changes in scenes that include lighting, camera, or materials. The Motion Graphics toolset uses instanced objects and instantly creates complex procedural effects and animations. Using the MASH toolset you can add new nodes consisting of signal, curve, world, placer, etc. along with existing node updates. Because of its influential drawing efficiencies Photoshop has been considered as a mighty tool for creating animations. It renders Disney-style animation due to its frame by frame animation techniques. You can utilize the onion skinning process for incredible animation experience using the ‘Timeline’ feature (with frame by frame approach). It supports a varied range of QuickTime video formats, image sequence formats, and color mode and bit depth for animation. With the help of the Timeline panel, you can make animation frames, where the configuration of layers is represented by a single frame. In Photoshop the opacity, styles, position represents the layer properties and a gradual change in them gives you the feeling of transformation or movement in animations. It results in automatic modification and addition of multiple frames in a series among two existing frames. Adobe Animate is a brilliant tool to make animations with interactive vectors that you can use in games, web as well as on apps and make banners and cartoons movable. Infographics and tutorials become lively with this tool and you can share them on numerous platforms as well using mobile, computer or TV. Use the tilt and pressure sensitive vector brushes to draw and sketch characters and with frame by frame animation make them talk, walk and blink. Design and develop interfaces, start screens, game environment and player sprites to get the best interactive web-based content. You can export your work to WebGL, HTML5 Canvas, Flash/Adobe AIRetc. 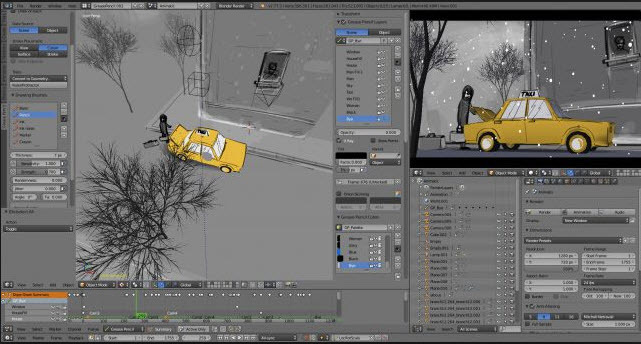 Moho is a complete animation tool dedicated to digital artists and professionals which was used to make movies like Song of the Sea and The Breadwinner (both were nominated for OSCAR). Having smart warp, this tool enables you to shape, bend, animate, and twist assets including vectors and images and is compatible with Smart Bones. Using the realistic motion blur feature you can manage the number of frames and how they blend to moving objects or characters for creating amazing results. The vector Bezier handles allow you to have more control on designing and make exceptional line bends having minimal points and perfectly optimized to sync with animation. Autodesk motion builder is one of the coolest animation creators that allow 3D character animation. The highly interactive and responsive environment enables you for capturing, editing, and then playing back complicated character animations. Directors or animators, all of them love the results of Autodesk motion builder. The real-time 3D engine builds human movements. It manipulates motion capture data with production-proven tools that allow motion capture editing. It can interact with other 3D applications through the interoperable FBX data exchange and software development kit. Blender is an open source 3D animation creator available free of cost. Talk about modeling, animation, rigging, rendering, simulation, motion tracking, compositing, video editing, or game creation. Industry standard libraries are available in the simulation tool, such as MantaFlow and bullet. The modeling toolset in Blender can not only do modeling, but also does retopology, sculpting, curves as well. The animation toolset enables you to synchronize sound, automates walk-cycle, edits the pose of characters, impart independent movements with Non Linear Animation as well. GoAimate is a flexible animation creator that customizes the animated characters with various hues of color and efficiently showcasing the diversity of their race. There are options to slide scales and offer a flexible environment for animating objects and characters alike. Create any character around you or recreate yourself, with the amazing character creator tool. For voiceover narration you just need to give a voice track and the characters can also auto-lip-sync when you give them a voice. There are numerous industries and occupations that you can incorporate in your animation to keep the audience engaged. Cinematic intros, movie titles, as well as transitions can easily be created using this tool. It enables you to make it rain or start a fire, animate a character, or logo, and a lot more. 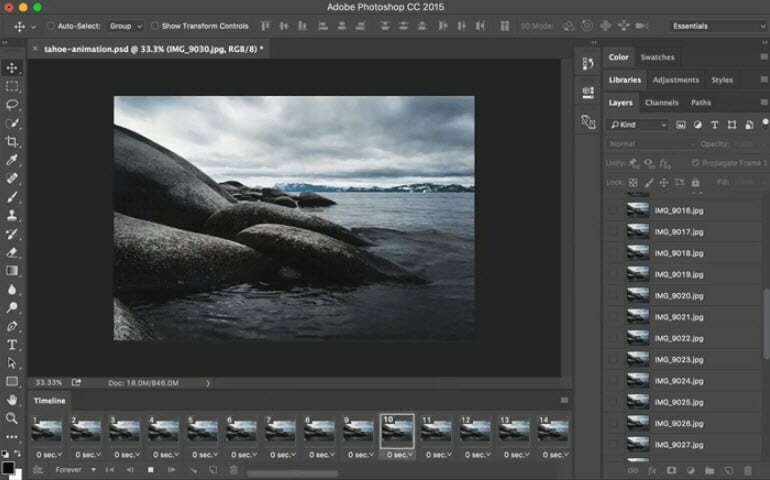 It is compatible with other Adobe apps, such as Adobe Dynamic Link, Photoshop CC, Audition CC, Illustrator CC, as well as Team Projects. 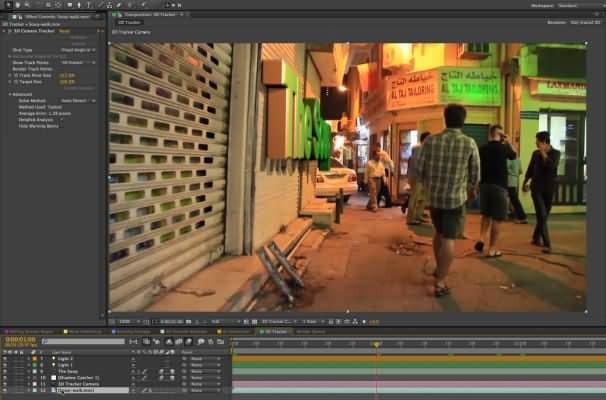 Creating visual effects or motion graphics for TV, film, web, and videos is easy for designers, animators, and compositors with After Effects. Using the animation presets you can slide, spin, or swipe texts for animated credits, titles, etc. Cartoon, logos, or shapes your key-frames can make all of them moving with amazing background music. Apart from the best animation software for beginners mentioned here, you can make use of Wondershare FilmoraPro to create breathtaking videos. This powerful video editing tool can help you make one of the best videos using features such as precision speed control, frame by frame preview, color tuning, noise removal, and 4K editing support etc. Download it now to have a free try.